Attorney General Jon Bruning took time out of his day today to donate 15 sleeping bags to Bold Nebraska — stepping up to Bold founder Jane Kleeb’s challenge that he do so in light of his “inartful” recent comment comparing welfare recipients to raccoons scavenging for beetles. After Bruning stepped into a political minefield with his off-the-cuff remark, Kleeb also asked Bruning to step down from his day job as AG — no word on whether he’s going to take her up on that offer. Bruning responded to Kleeb’s Tweet challenging him to pitch in to Bold Nebraska’s raccoon comment-inspired drive to collect 100 sleeping bags for homeless children. Bruning’s campaign spokesman, Trent Fellers, said Bruning stopped by his Lincoln campaign office late Tuesday afternoon and gave a staffer his personal credit card to buy 15 sleeping bags for Kleeb’s drive. Then Fellers and Bruning dropped the bags off at Bold Nebraska’s Lincoln office at 11th and H streets. I was made aware of the donation by Kleeb, not Bruning. By the way, if you’d like to donate a sleeping bag and help Bold reach their goal of 100, you can drop them off at 1141 H Street, 3rd Floor, or Jane Kleeb’s Home, 1010 North Denver Ave., Hastings or Ryan Sherwood’s office at 3919 S 147th, Suite 120, Omaha (behind the 24-hour Fitness). You can also buy a bag online, where Bold Nebraska created a wish list. Who says nothing good ever comes from political bickering? 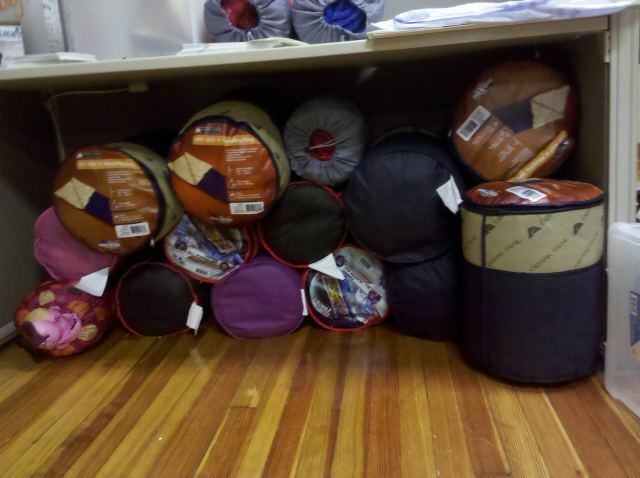 The sleeping bags Bruning donated to Bold Nebraska. 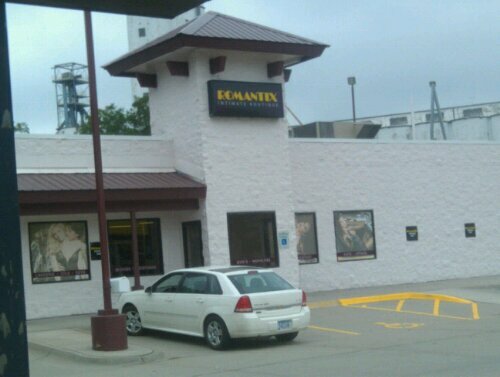 Speaking of huge, devastating, unsolved fires, I noticed the other day that Romantix — the downtown adult store that was destroyed by fire earlier this year — has reopened in a new location on Highway 2, next door to Subway. This may only be relevant to some of you, and you know who you are. The city fire inspector was unable to determine the cause of the fire — in part because the building was too unstable and winter too hostile to even enter the site for 111 days. Evidence was inconclusive, Bill Moody said.